The Tawny Owl has not been having easy years due to the increase of the Goshawk which finds in young Tawny Owls an easy prey. It is a beautiful owl, known for its typical call. If you fold your hands together, leaving a hole and then blowing over your thumbs, you may try to imitate the sound. 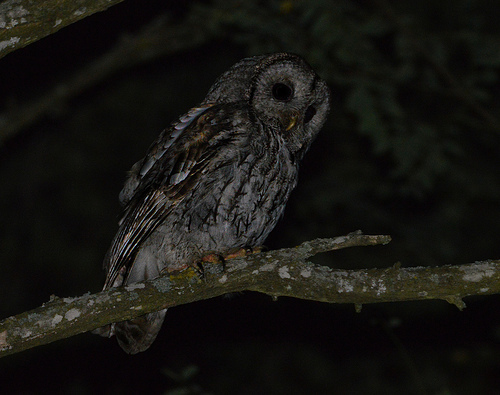 The Tawny Owl is larger and looks sturdier than the Long-eared Owl. It also has wider wings. The Tawny Owl doesn't have ear-tufts, like the Long-eared Owl. 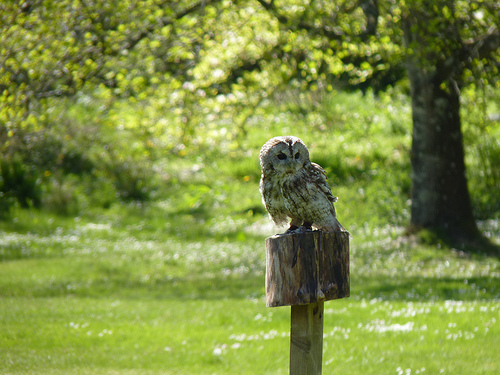 The Tawny Owl is larger and looks firmer and more compact than the Short-eared Owl. It has broader wings.